Banū Hāshim (Arabic: بنو هاشم‎‎) is a clan in the Quraysh tribe with a unique maternal bloodline of Israelite ancestry through Salma bint Amr of Banu Najjar. This makes Banu Hashim both an Ishmaelite and Israelite tribe. 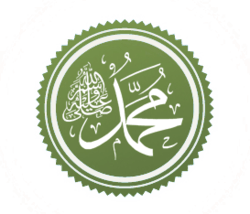 The Islamic prophet, Muhammad was a member of this Arab tribe; his great-grandfather was Hashim ibn Abd Manaf, for whom the tribe is named. Members of this clan are referred to as Hashemites. Descendants of Muhammed usually carry the titles Sayyid, Syed,Sayed and Sharif, or the Ashraf clan (synonymous to Ahlal-Bayt). Today, two sovereign monarchs - Abdullah II of Jordan and Muhammad VI of Morocco and erstwhile royal family of Libya are considered to be a part of Banu Hashim. It was into the House 'Abd al-Muttalib of Banu Hashim of Quraysh that Muhammad was born. At the age of 40, his establishment of Islam set him at odds with the established powers in Mecca. His membership of the 'top house, of the top clan' (in terms of prestige and power) was a factor through which God kept him safe from assassination during the early years of his mission, as a number of his uncles would not countenance any such insult to their so-called clan honour. After 13 years, the Muslim community of Mecca migrated (made Hijrah) to the city of Yathrib (which subsequently became known as Medina) to avoid their often murderous persecution by the non-believers of Mecca. With the conquest of Mecca, the city was captured by the army of Islam. The Kaabah was cleansed of idols and became the centre of pilgrimage for Muslims, once again the centre of pure Abrahamic monotheism. (It is illegal for non-Muslims to enter an area designated surrounding the city of Mecca). The two major lines of descent of Muhammad are those of his two grandsons, Al-Hasan and Al-Husain, born of the union of his daughter Fatimah and his cousin and son-in-law Ali. Muhammad besought the love of the Muslims on his grandsons, thus their descendants have become spiritual aristocracy among the Muslims. The descendants of Muhammad's grandsons are known by the titles of sayed,sayyid,syed and sharif. ↑ Reuven Firestone (1990). Journeys in Holy Lands: The Evolution of the Abraham-Ishmael Legends in Islamic Exegesis. p. 72. ↑ Göran Larsson (2003). Ibn García's Shuʻūbiyya Letter: Ethnic and Theological Tensions in Medieval al-Andalus. p. 170. ↑ Al-Mubarakpuri, Safi-ur-Rahman (2002). The Sealed Nectar (Ar-Raheeq Al-Makhtum). Darussalam. p. 30. ISBN 1591440718.